Information about the substance abuse behaviors among Latino populations has been limited. Substance Abusing Latinos: Current Research on Epidemiology, Prevention, and Treatment fills this void by presenting the latest research on the epidemic of substance abuse now afflicting the Latino community. Ethnic differences are reviewed, including specific studies covering gang members, low-income urban women, risky behaviors, and language preference indicators of acculturation. This book does more than simply present the researchit discusses effective treatment strategies to help practitioners provide quality, culturally competent care to lacking Latino populations. Latinos, the largest minority in the United States, have an increasing alcohol and illicit drug use problem. Culture, acculturation, and language hold powerful sway in the research of Latino/a substance abuse. 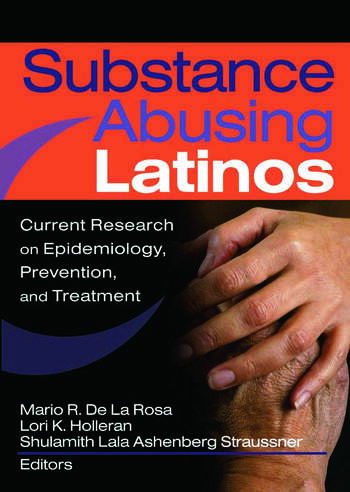 Substance Abusing Latinos: Current Research on Epidemiology, Prevention, and Treatment delves deeply into troubling issues such as gang membership, sexual abuse, the lack of healthy family role models, the effects of different levels of acculturation, the lack of health insurance, and rampant involvement with the criminal system. The research is used as a foundation to focus on the latest advances of substance abuse prevention and culturally competent intervention programs. Each chapter is extensively referenced to reinforce research. Substance Abusing Latinos: Current Research on Epidemiology, Prevention, and Treatment is essential reading for educators, students, practitioners working with Latino/a populations, and substance abuse researchers.